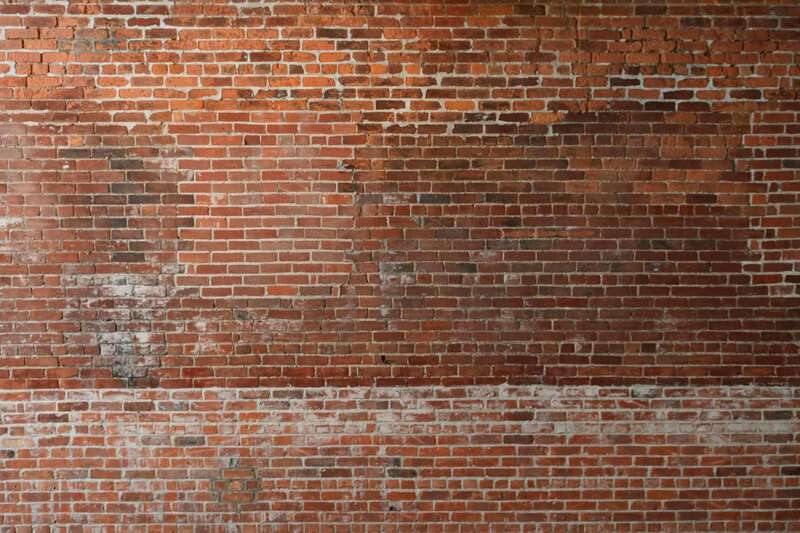 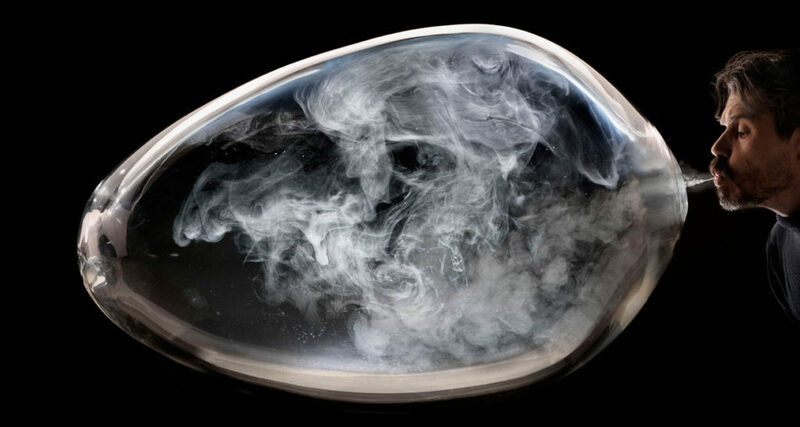 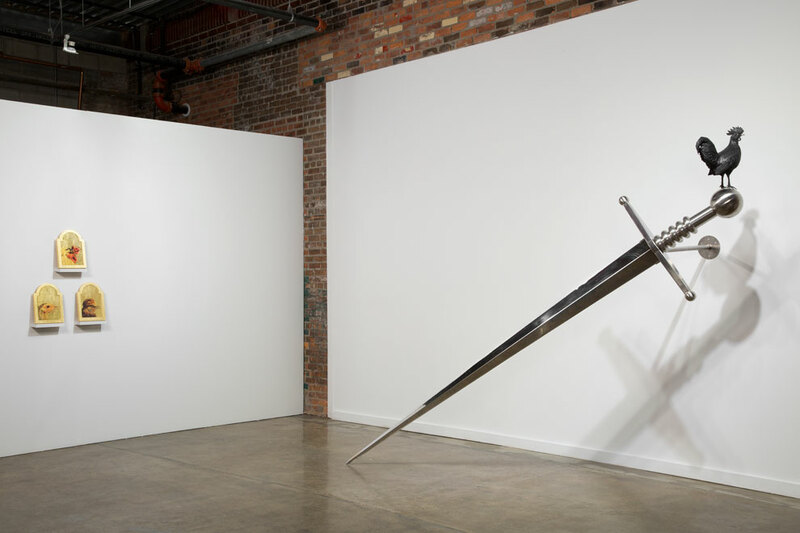 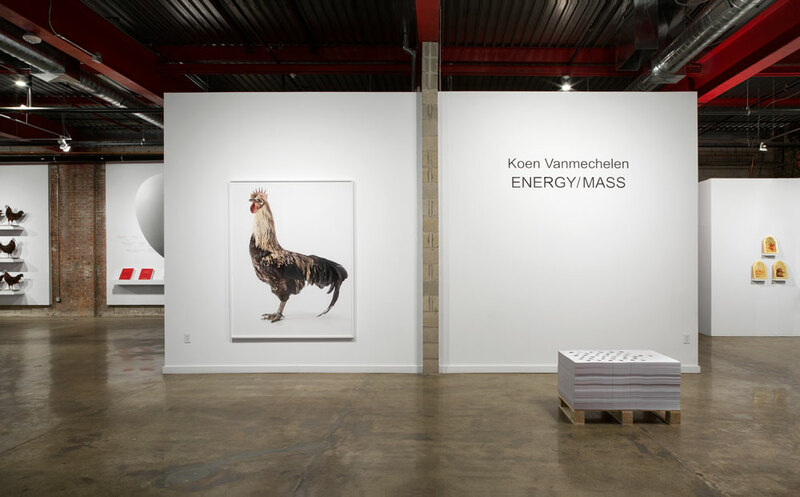 Wasserman Projects is pleased to present an exhibition of works by Belgian artist Koen Vanmechelen, whose wide-ranging oeuvre includes photography, sculpture, mixed-media installation, video, and living art initiatives. 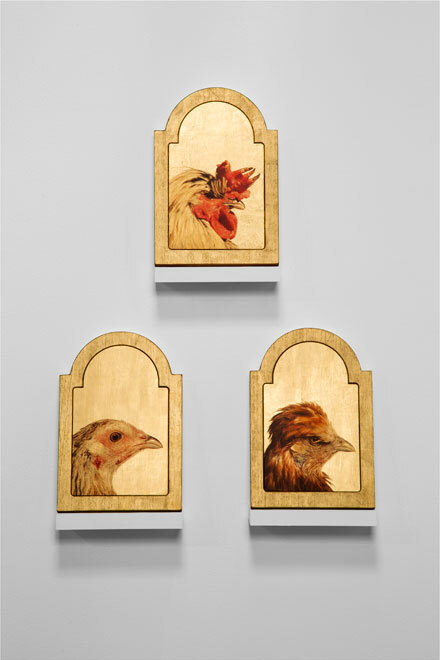 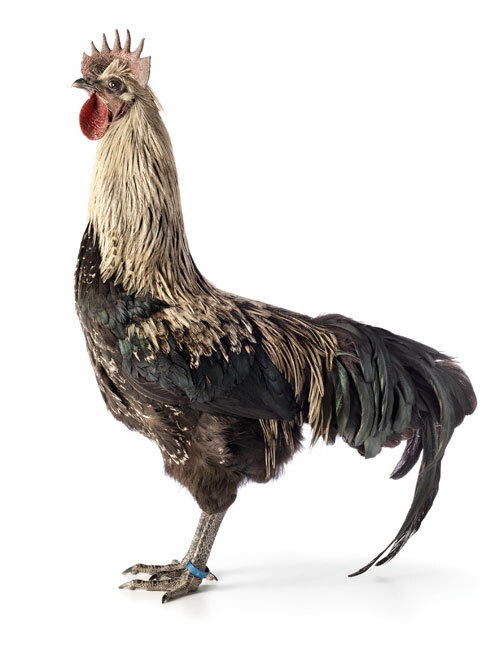 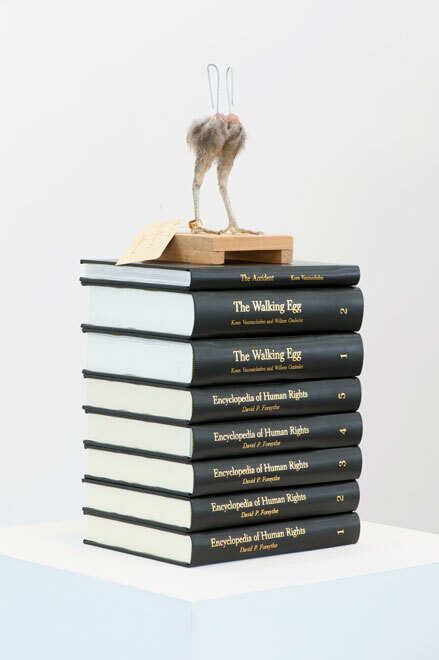 The exhibition marks the newest phase of Vanmechelen’s ongoing, 20-year-long Cosmopolitan Chicken Project (CCP), which crossbreeds chickens from around the world as a means of exploring cultural, biological, and aesthetic diversity. 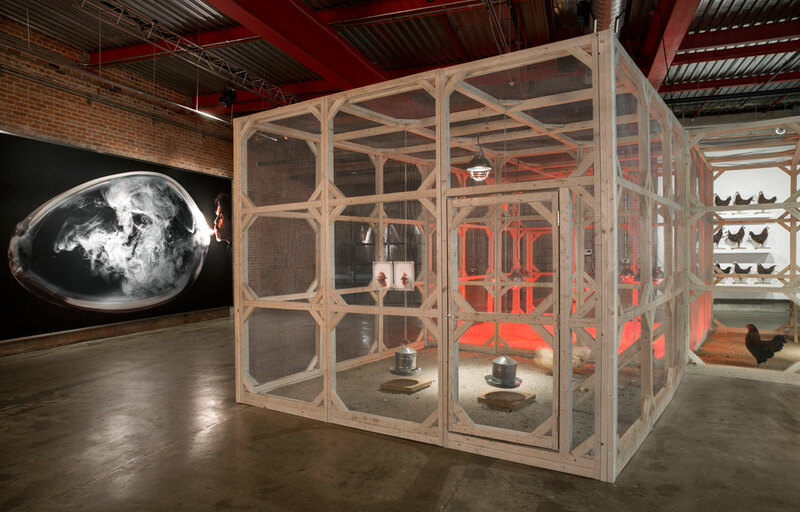 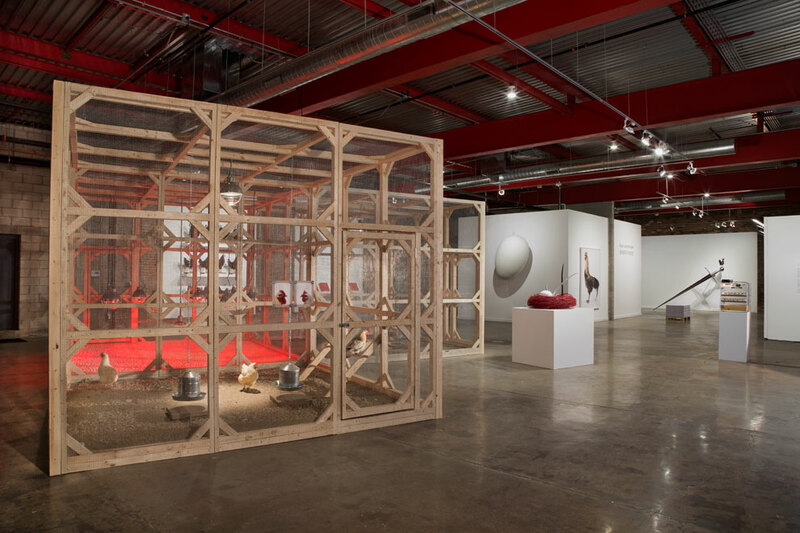 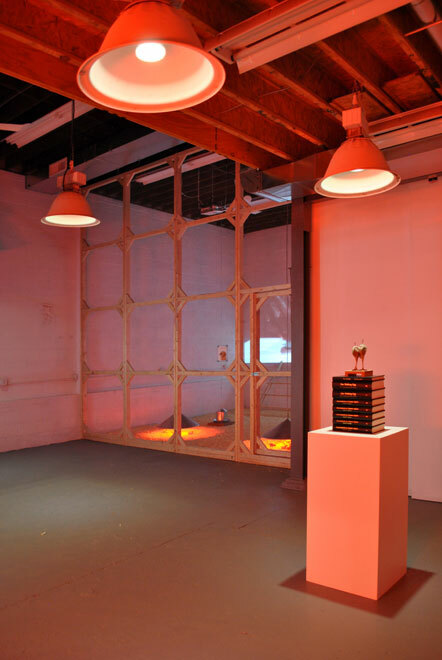 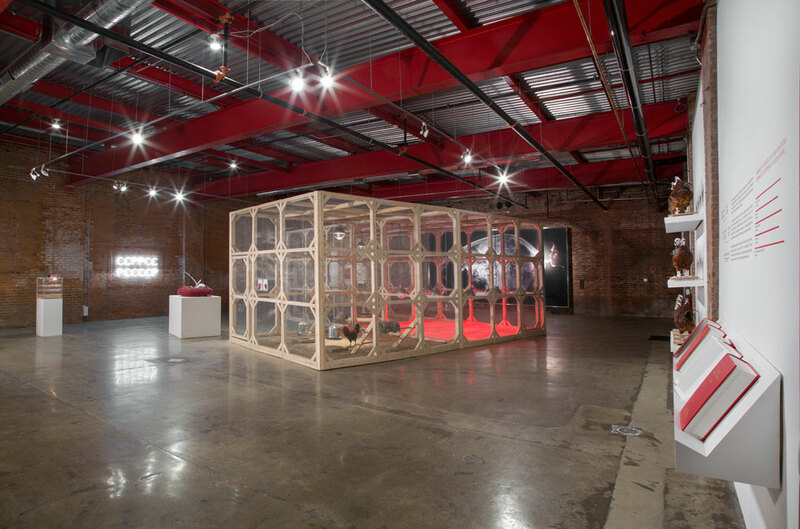 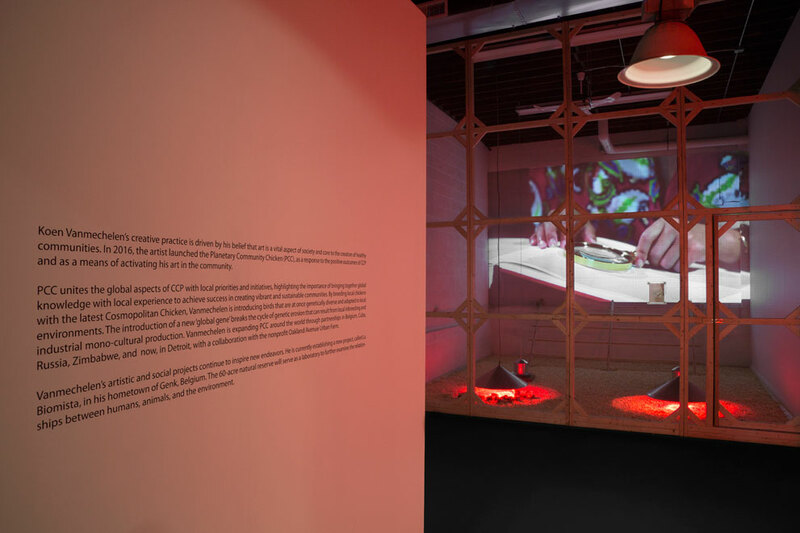 Featuring the artist’s 2D- and 3D-works, alongside live chickens from CCP, the exhibition highlights the artist’s engagement with ideas of singularity and duality as manifested in the crossbreeding process and his metaphoric representations of the chicken and the egg. 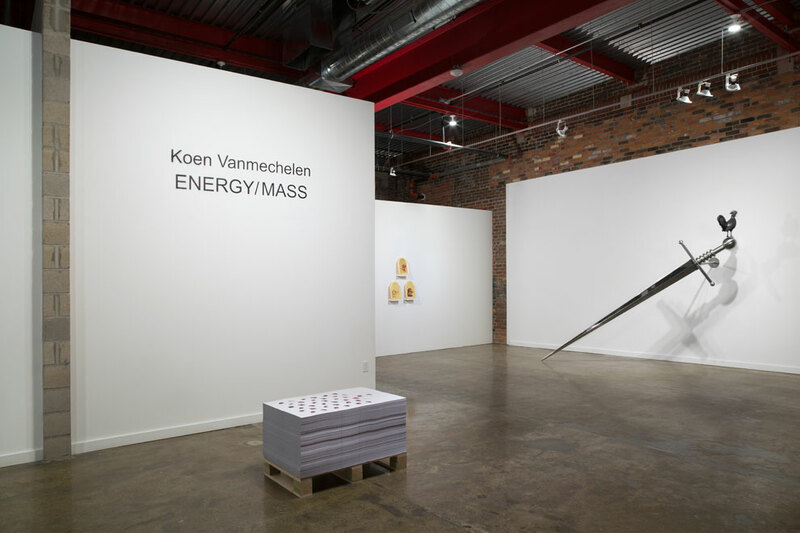 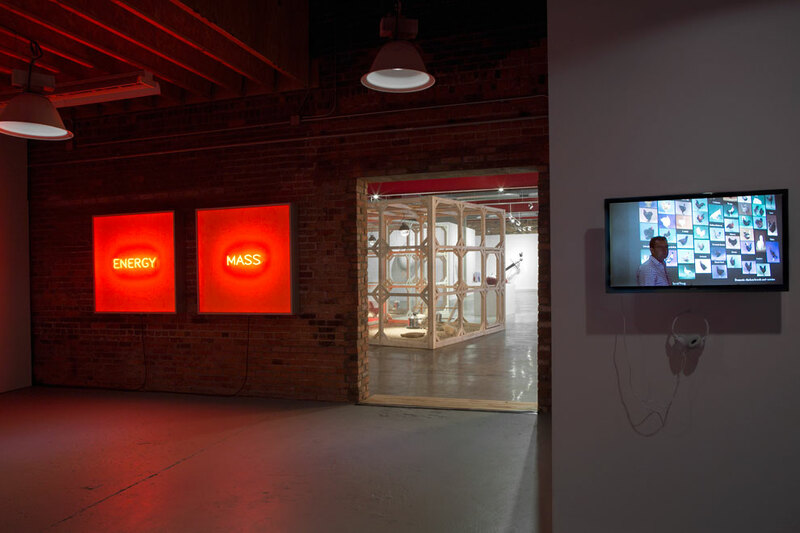 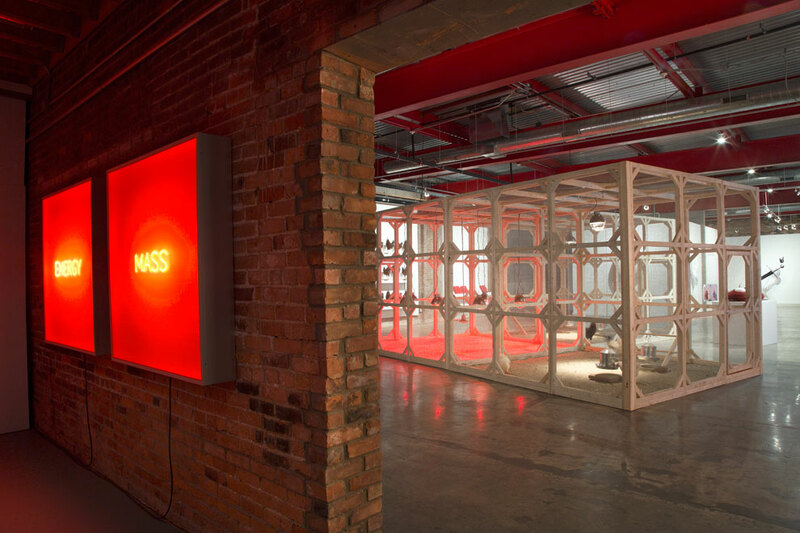 Titled Energy/Mass, the exhibition will remain on view through December 17, 2016.